This year has seen the biggest rush of new openings in Carvoeiro for as long as we can remember, and it’s not just restaurants – global brand Ale Hop also opened a shop in the old newsagents on Rua do Barranco, along with a couple of new wine shops. 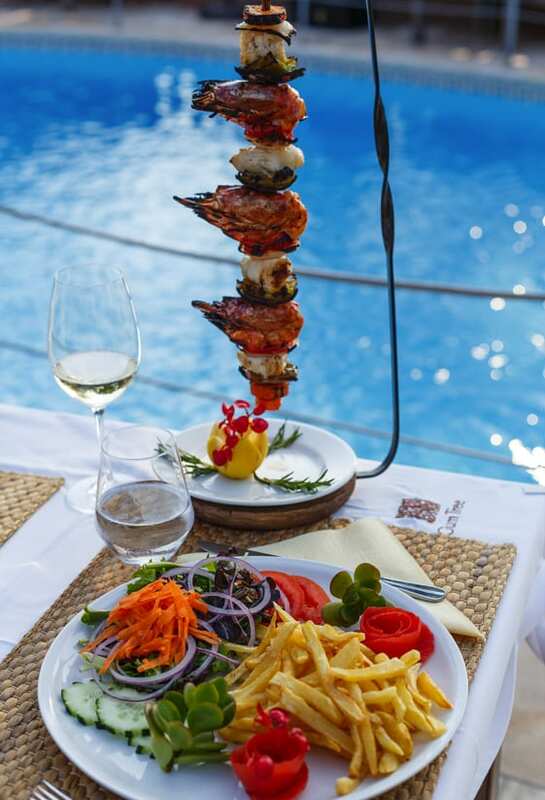 With around 100 restaurants in and around Carvoeiro, you would think that there were enough already, but it would appear that there’s indeed plenty of room for some more. 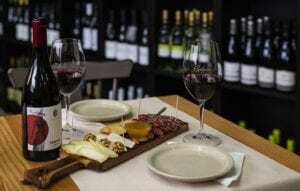 The latest wine shop in town is The Wine House, a tasting store and tapas bar just across the road from the taxi rank. This is a bit special because they mostly stock wines that you will not find in most other places. Belmira Cruz is the house wine and is named after the owners’ beloved grandmother, with varieties from all over Portugal and free international delivery. Just above The Wine House, there’s a new day spa called Prana Bali Spa where you’ll find the very talented masseuse Made, from Bali. Upstairs from The Wine House and Força Portugal, opposite the taxi rank, O Albatroz opened earlier this year and has seen its following growing steadily. 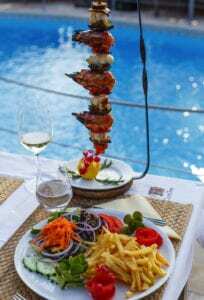 A spacious restaurant with an outside terrace, it’s sympathetically decorated with a decent menu featuring fresh fish and meat dishes. Some of the dishes have a touch of Brazilian inspiration, courtesy of the owners, and there’s a good selection of wines along with a fully stocked bar. Chef ’s Kitchen has probably made the biggest splash as the building underwent a total renovation and now has an extra roof terrace and cocktail lounge. It’s unrecognisable with ultra cool décor, fixtures and fittings. Set over three floors, the large, open-plan layout is filled with cool touches. 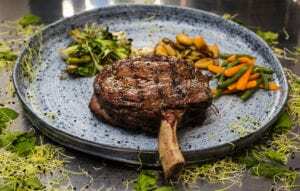 The menu is very different from the other restaurants in the area, with items like Lebanese meatballs, a Buddha Bowl, veal and foie gras, Wagyu Beef Burgers and a Tomahawk. There’s a kids menu and a yummy dessert section for those with a sweet tooth. As for drinks, they serve local Dos Santos craft beer and special Super Bock lagers on draft, a comprehensive but compact wine list and of course a good choice of gins from the big, central bar. Joining them is Pani. Looking to the main Carvoeiro beach, you’ll see a road going up to the left, along the cliff side; walk up this road for about 100m and you’ll find this stunning Indian restaurant on the right-hand side that boasts unparalleled views out to the ocean. The décor is beautiful with some ornate Indian pieces, and the furnishings are top quality. 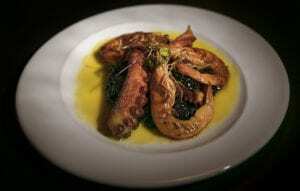 The menu features all the classics along with a few of house specials, and strong wine list with some unusual listings. With a small terrace and dining area featuring a wine cellar, a bar and lovely dining room on the first floor and a superb roof terrace, they’ve kept their prices in the mid-range and will no doubt become a very popular establishment. Hidden behind Brady’s bar on Estrada do Farol, Gum Tree is an absolute oasis with beautiful terraces, a mature garden, indoor and outdoor dining areas, bars and a swimming pool. Serving a vast range of Portuguese and international dishes in generous quantities and their unique house wine, Belmira Cruz, Gumtree is already attracting lots of returning customers. Previously called ‘Flamingo’, a local businessman with years of experience in the industry took on this big, old and somewhat previously unloved restaurant, and it paid off. At the time of going to press, they were serving dinner only, but next year they will be looking at changing their schedule. Previously in Senhora da Rocha, Gurkha Kitchen has taken just two months to hit the top spot on Tripadvisor since opening and has brought Nepalese food to Carvoeiro. The chef has a somewhat regal background, having worked as a chef for royalty in the past, and son Robin is out front taking care of the day-to-day running of things. Subtle spices and fragrant herbs are blended together to create a selection of unique and delicious dishes. You’ll find them on the road between O Cantinho and The Wolf. The interior dining room has lovely little touches from Nepal, and there’s a spacious terrace at road level. Not new, but worth a mention, Taste have moved to the end of Rua do Barranco, on the left. They’ve totally refurbished a building that was empty for as long as we can remember. The bright new interior has lovely touches, there’s a little lounge downstairs for pre/post dinner drinks and a large terrace in the garden. The menu is as good as ever, and they have a fulltime mixologist who serves great cocktails.